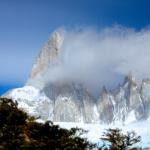 "...As part of a two-week hiking/trekking trip in Patagonia, my wife and I happened to have a free day in El Chaltén. It was supposed to be a rest day, but...the hosteria we stayed at had a beautiful climbing wall literally 30 feet away! (It turns out, all of El Chaltén is closely surrounded by climbing walls, most within walking"
"We booked the Full day of Ice Climbing with Mountaineering Patagonia. Merlin was very responsive to our needs prior to our trip and as soon as we got to El Chaltén he walked over to our condo to introduce himself. The night before our trip he stopped by and got us set up and fitted with our equipment so the next morning we were ready to go. The hike out was long but Merlin kept us entertained the entire 3 hours! Merlin's knowledge about El Chaltén and the surrounding mountains was spectacular and he was more then willing to answer all our fun gringo questions. I would 100% recommend booking with Mounatineering Patagonia, if we had to do it again we would have stayed in El Chaltén longer and done more excursions. Thanks MERLIN!" How can we ever thank you enough for the magic days you gave us at El Chaltén, your hospitality, your knowledge of mountains, geology, the vegetation, the animals etc..made our trip unforgettable. You are a class act man and guide. We were very lucky. 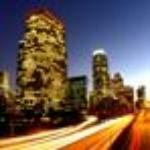 TripAdvisor is a travel community where it is they who evaluate impartially us! We are a Guiding Company, with national AAGM and international UIAGM-IFMGA certifications, specialized in Southern Patagonia. We are located in El Chaltén, were we began our mountain activities in 1998, surrounded by the mythical Fitz Roy and Cerro Torre mountains. We also offer our guiding services in other destinations along year round: North of Patagonia, Mendoza, Chile, Bolivia, Perú & Europe. ¿Why choose Mountaineering Patagonia ? 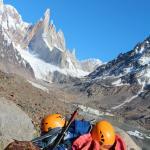 The Patagonic Mountains are our passion; we chose the Mountain Guides profession to share these experiences with you. We are qualified “Tourist Operators of Los Glaciares National Park” since 2003, and we´ve been guiding in the area since 1998. Our Mountain Guides are certified AAGM (Argentinean Association of Mountain Guides) and IFMGA (International Federation of Mountain Guides Association) and authorized by the APN (National Park´s Administration). We provide a personalized guiding service in the mountains, prioritizing your personal safety and protecting the environment.